Being hit by a falling object on a construction site can result in serious or fatal injuries. That’s why there are regulations to protect workers and passersby. When the object falls because someone was negligent or violated the rules, the injured person may be able to file a claim to recover damages and compensation. 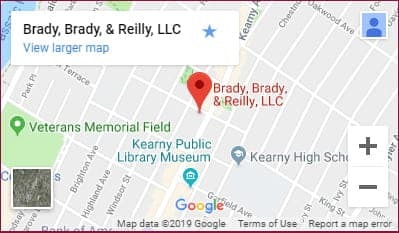 At the northern New Jersey law firm of Brady, Brady & Reilly (BBR), we have successfully handled many construction accident claims since our founding in the early 1970s. Our lawyers understand construction law and OSHA regulations designed to protect workers against falling objects. We know what to do. When you meet with one of our trial lawyers about filing a claim, we make sure you have the information you need. We will discuss your injuries, describe the legal process and advise you about your probability of success. We will determine whether the injuries are covered by workers compensation or whether you can file a personal injury claim against a third party who is not your employer. You will understand your rights and your options and be able to make decisions about your legal matter. Our attorneys evaluate you injuries, consult with construction experts and determine the best course of action for your circumstances. We prepare every case for trial and have found that this approach increases our probability of success — the other side knows that we will not hesitate to proceed to trial if the settlement offer is unacceptable. Contact a lawyer at BBR for a free initial consultation about injuries caused by a falling object at a construction site. Speak with one of our experienced attorneys about filing a claim to recover damages and costs. Learn how we help people in Jersey City, Newark, and throughout the region.